The costs of building the new controversial fire station in the greenbelt at Saughall Massie have increased by a further £134,000 due to two factors. The first reason for the increased costs according to a report to be considered by councillors on the Merseyside Fire and Rescue Authority’s Audit Committee are due to “required United Utilties manhole diversions” and the second reason is due to “changes to the tower foundation design”. Due to its greenbelt location, the tower is required to be retracted when not in use. Councillors on Merseyside Fire and Rescue Authority’s Community Safety and Protection Committee were told yesterday afternoon (see video above) by a Jackie Sutton that she expected that the Saughall Massie fire station will be completed by the end of the financial year (which ends at the end of March 2019). Once the building is complete and operational it is expected that nearby Upton Fire Station will be closed and sold off. Nearby West Kirby Fire Station has been closed for many years. Merseyside Fire and Rescue Authority’s plan is that the new Saughall Massie Fire Station once operational will cover the areas formerly served by West Kirby Fire Station and Upton Fire Station. 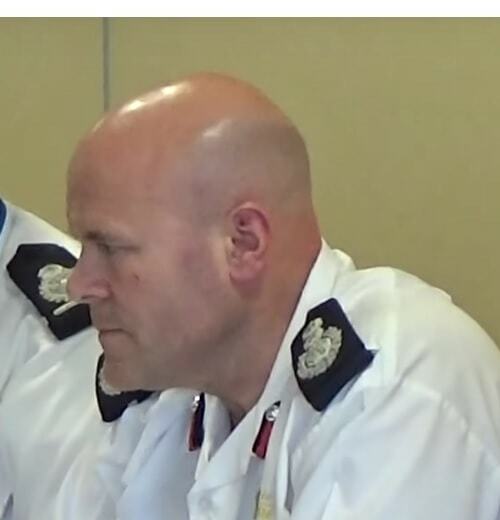 The former Chief Fire Officer Dan Stephens before he left Merseyside Fire and Rescue Authority to become Melbourne Fire Brigade Chief Officer expressed his concerns about the changes to design to Saughall Massie fire station. The changes to design were made after Wirral Council’s Planning Committee rejected the first planning application for a much larger fire station. « Why are Wirral Council censoring video of a public meeting about Kingdom? I think it’s because the fire engine won’t fit through the door, so it’s for adjustments? I’ll take that comment in the spirit it was meant! Only £134k I bet it will be double or treble by the time its finished surely to god these essential items should have been anticipated but no this is after all Wiiral council & MFRA & who pays the ratepayers as usual, sickening. This is in addition to a £600k budget increase approved by councillors in late 2017. One the subject of ratepayers, there’s a public meeting of the councillors on the Merseyside Fire and Rescue Authority in about 3 weeks where it’s expected that they will vote to increase the fire part of council tax from the 1st April 2019. Usually (at least it has been that way for the past 4 MFRA Budget meetings I’ve reported on) councillors say they don’t want to increase council tax as they realise people are struggling, but after a difficult and challenging budget they feel they have no choice but to do it! Due to the road network and greenbelt there only two main road routes into West Kirby from the direction of Upton Fire Station. Upton Fire Station would be most of the time where a fire engine sent in the direction of West Kirby would come from as it’s a key station. One of the routes is down Saughall Massie Road as you mention, in fact during the consultation meeting about the new fire station in Saughall Massie around four years ago a fire engine went past along Saughall Massie Road. Dan Stephens then had to point out to those present that it wasn’t deliberate because of the consultation meeting on. There were studies done by Wirral Council into a new road and improvements to the existing road, but it is unclear where the millions of pounds needed would come from. There is however an Extraordinary Meeting of Wirral Council on the 25th February where the Hoylake Golf Resort project (including presumably the highways impact) will be discussed and later today this afternoon the scrutiny committee will be discussing the Local Plan (which will eventually form Wirral Council’s planning policies). Certainly part of the planning application for the new fire station at Saughall Massie mentioned the golf course as if band H houses were built in the greenbelt as part of the Hoylake Golf Resort project, the response time from Upton was considered to be too high. Council Tax needs to be scrapped! I’m old enough to remember the poll tax riots (which replaced the rates) back in the 1990s. How the police arrested a person in a wheelchair and how the rioting got blamed on anarchists. Then when Margaret Thatcher left and John Major came in the poll tax was replaced with the council tax. I was too young to vote then though!